Atlantia’s Twelfth Night event is again overflowing with amazing opportunities to enjoy the Performing Arts! The Magnificent Lady Jeane Kilmeny has organized an embarrassment of riches for both performers looking to perform and audience looking to relax and be entertained. If you have questions, please contact Lady Kilmeny via facebook by posting on the Atlantia Bards and Performers group at this link: https://www.facebook.com/groups/BardsandPerformers/ If you wish to post a comment on this blog post, your question will be forwarded to Kilmeny. The reveling begins this Friday night! Dance band performing for dance classes, possibly 2:30-4:00pm. It would be awesome to have any musicians that could spare some time so that they can have a wonderful recording to help teach these dances! See you all there! “The competition will be comprised of three rounds. Baron Stefan de Cambion, our Dance Master, will be leading dance after feast. Music will be provided by the Atlantian Dance Band (led by Lady Rhiannon of Raven’s Cove). Happy Twelfth Night to All! Atlantia Kingdom Twelfth Night Event’s Performing Arts Schedule! Performing Arts Schedule for Twelfth Night is here! Performers and those who enjoy being an audience will revel in an embarrassment of riches at Twelfth Night! See the schedule of Performing Arts Activities below, and don’t hesitate to contact the Performing Arts Coordinator, Lady Sophia the Orange via orangesophie AT gmail DOT com for more information. Our Twelfth Night Dance Leader is Lady Elizabeth of Northumberland with support from our Royal Player in Dance, Lady Nicolosa d’Isenfir. They will be able to teach you many dances, likely even if you have one to request that is not previously published on the evening’s dance list. During morning court, attendees will witness the beginning act of the Twelfth Night Murder Mystery. Royal Bard competition Round 1 begins downstairs in the el Salon de Baile (Ballroom-the end of the hall with head table) run by Master Ruaidhri an Cu and Lord Gideon ap Stephan, Royal Bards of 2016. “My Lords and Ladies, Most Worthy Peers, and dearest cousins, Once more the time has come to select those who will serve as Royal Bards for Their Majesties and Their successors. At the celebration of Twelfth Night a competition will be held and Lord Gideon, the Bard of the South, and I encourage all bards to come and compete. The competition will be comprised of three rounds. In the first and second round competitors should perform pieces in different modes. For example, if a story is performed in the first round, the bard should perform a song, instrumental piece, poem, or some-such for the second round. One of the pieces performed in the first two rounds must be period, documentation should be provided. Please limit pieces to five minutes. Extra consideration shall be given to bards who perform original compositions in addition to the period piece.Those bards who are selected for the final round shall perform for Their Majesties and the populace during feast. Pieces should be limited to eight minutes. Should you have any questions, concerning the competition, appropriate pieces, etc., please feel free to contact me. Mini-Concerts in la Rotanda begin for All Performers who have signed up ahead of time here: https://docs.google.com/spreadsheets/d/1yP5JiCAaCOroVI64Ye8QI-OQS6AOQM4HWftY2lEkCt0/edit?usp=sharing SIGN UP AT THIS LINK! THIS IS WHERE YOU SIGN UP FOR PERFORMANCE SLOTS! Mini-Concerts run from end of morning court (~12:30pm) until the beginning of afternoon court (5:00pm). Shakespearean Recitation Competition begins in la Rotanda. This competition is brought to you by our Royal Player in Theater, Lady Meriorie Matheson. Sign up here: https://docs.google.com/spreadsheets/d/1-I8MzWumXriZnp7mSwj9W0XNciqinEEWHKg2fR1ortA/edit?usp=sharing SIGN UP AT THIS LINK! THIS IS WHERE YOU SIGN UP FOR PERFORMANCE SLOTS! Description of Shakespeare Competition: Friends, Atlantians, countrymen, lend me your ears! As Twelfth night is a time of frolics and festivities, we must partake in one of the most beloved entertainments of the middle ages – theater. I challenge Atlantia to bring me your best performances of a monologue from any of Shakespeare’s contemporaries, or the Bard himself. A prize for the best performance! And as Tudor theater was memorized quickly for more performances, extra prizes for anyone who’s off-book! So everyone has a chance to participate, try to keep monologues around 5 minutes in length. Dance Band Rehearsal begins downstairs in the el Salon de Baile (Ballroom-the end of the hall with head table) The Twelfth Night Dance Band is a pick up band brought together for one day under the fearless and skilled direction of our Royal Player in Music, Mistress Azza. Any instrumentalist is welcome to join in the band. At 3:00pm in the Throne Section of the Ballroom, there will be a “Garb Runway Challenge” hosted by the Clothiers Guild. The organizer of the event has asked for musicians to play some background music while the entrants proceed down the runway. Musicians can contact Lord Johann von Solothurn for more information. If you don’t know how to catch Johann, please direct questions to Sophia the Orange. The Atlantia Performing Arts Guild held a meeting at the Tournament of Ymir in the Barony of Windmasters’ Hill on February 27, 2016 from 11:00 – 12:00am in the Great Hall. Online Resources for Sharing: This one went into some detail…. This includes a page for handy links to bardic and other performing resources recently re-organized by our friend Catarina di Paulo / Shannon Hamilton. This includes pages for: Kingdom Noteables, Performer’s Directory, Performing Groups, a separate page for the Guild, and more tidbits. Mistress Dervila is working on creating a library on this blog. It’s built with WordPress, so it’s really a Content Management System – one that Dervila has some experience with. While Dervila is working on that library, we will use a new Google Drive shared with the Google Group email list for the Guild. That means that if you’re email address is on the Google Group email list for the Guild, you have access to that shared drive on Google Drive. this allows us to see what files people want to share and what categories they settle out into before Dervila launches the new library. The categories we actually end up using over the next few months will be the ones we start with in the new library. The position of University of Atlantia Liaison for the Guild is being shared this year between Lady Machteld Cleine and Lord Jaume de Monco. Machteld will handle organizing classes for Performing Arts for the Summer University session and Jaume will handle organizing classes for the Fall University session. When you’re ready to submit your classes for Summer University, please send email to Machteld first. She’s going to ensure that certain basic performing skills classes get taught for sure and that other classes for certain audiences don’t conflict (like having two commedia classes in the same hour slot). Jaume will follow in the Fall. Mistress Dervila is holding the position of our Librarian, but she and I can both use some help from folks who are savvy to Google and WordPress resources. Lord Kazuhiko and Harper an Cu both volunteered to pitch in on that after this Spring semester is over. I’m still looking for a Point of Contact for every single SCA group in Atlantia. Some groups have a “Bardic Champion” or “Performing Arts Champion” but most don’t. If you’re willing to step up as a Point of Contact for your local SCA group as the “person who knows something about Performing Arts and maybe how to get ahold of that crazy Guild”, please let me know! Lady Teleri the Well Prepared has started working with our very music-friendly Princess of Atlantia as a “Royal Entertainment Coordinator.” (That’s a draft job title.) I did this job for Amos and Isabella during their reign, and it was rather successful at creating more performing arts activities at Royal Progress events. Since there is a great deal of administrative legwork involved in creating Performing Arts activities that work seamlessly and smoothly with Royal Progress events, having a person on the Royal Staff that handles all that email and planning ahead is extremely helpful. We all predict that our two Kingdom Bards and Teleri will all work as a team when the opportunity presents itself to make more and better Performing Arts opportunities happen at Royal Progress events. Lady Evelynne Merrymet expressed a deep desire to have live musicians at dance practices. Mistress Azza concurred with this given her deep enjoyment of playing live music for dancers. I strongly recommend using the Pennsic Pile sheet music if you’re a musician playing for dancing because the copyright in versions since Pennsic 42 have been cleared to allow for use at SCA events AND the sheet music is arranged for the correct repeat structure for all the dances as they’re danced at Pennsic. Other sheet music resources exist, but respect of copyright is important, so please check the copyright before you run sheet music through a copier. Mistress Dervila has a method to create a page on the Performing Arts blog that can serve as a directory that INCLUDES PICTURES! This has been a technological struggle for me. I’ve set up text only rosters for folks to submit their data on what they perform and who they are, but I have not been able to easily create a roster with pictures. Now that Dervila has a way to do it, we can now fill our roster with pictures! Please be prepared to send in pictures once we find the best place to put them before Dervila’s ready with the new directory. If anyone’s willing to write up a blog post on any one of these groups, or any MORE groups you’re aware of – please let me know!! The Kingdom MOAS wants us to nail down some heraldry for the Guild. We also need some better graphics for the blog. Eoin Mac Edhbaird volunteered to help in this, and if there are other herald & graphics folks interested in helping, please pipe up! We may need a committee for this. The next meeting of the Guild is TBD. It will be after Gulf Wars for sure!! Thank you all for pitching in to the Atlantia Performing Arts Guild! The Society for Creative Anachronism (SCA) dance community has been learning and teaching English dances for as long as there has been an SCA. That would be 50 years this coming spring. Most commonly taught are what is known as English Country Dances (ECD) which we take from the first edition of the Playford dance manuals first published in 1651. These were then ­traditional dances done by the gentry in their country homes. Stylistically, they are often for 2, 3 ,or 4 couples, never 1. We also have the 10 dances from the Inns of Court that were taught in the London law schools and known by all the nobility of England in the 16 couples, all doing the same thing. The 4 Inns of Court still stand and still teach, but only law these days, not dance. Check them out if you ever make it to London. The ancient trees alone are worth the side trip. Then in 1995 someone in England was looking through some old ledger books from what is now the Gresley estates. Where they recorded how many sheep, how much grain, and the like that were harvested that year and they noticed there was something stuck into the ledger sheets. “What’s this?” It was dance notes written by the scribe who was learning to dance. Paper was expensive and so the scribe used the masters ledger sheets. Now we have student notes for 26 dances we never heard of before! Wow ­ cutting edge stuff for a historical society. One problem, however, was that with the normal language drift over so much time we don’t know what many of the words mean in terms of dance. What is a trace or a tret or a rak? So several people went to work on the text. The notes also included music for some of the dances so the music geeks went to work on that. Another problem was that the music did not always correspond to the dances. Two of those people live together with their son in Canada. She is a dance teacher. He is an accomplished period musician. Mistress Emma Dansmeyla and Master Martin Bildner worked on this project for 12 years and are nearly finished with the book and CD set that many of us are waiting for. Armed with Emma’s magnificent notes and that CD, I started promoting Gresley dances in the Kingdom of Atlantia (SCA). I have been teaching 7 dances from the set for several years now at the University of Atlantia and at events and at Known World, and Pennsic if Emma is not going to be there. Their book is mostly complete. I now have a copy for proofreading purposes. I hope to learn all the dances from the book and give them feedback as to the learnability of the notes for the proof reading before the final printing. My Lord, Master Stefan of Cambion, will do the spelling and grammar stuff I am not to be trusted with. I have now gotten through and taught the 8 dances Emma describes as easy and several of the moderate ones. Winter should be a good time to work on that. It is a very good thing we built a dance floor in the basement of our house, don’t you think? They are of course not the only folks doing this reconstruction. Mistress Judith of Northunbria found Cait Webb and Chris Elmes in Scotland doing the same kind of work with predictably different results. They are both mostly period musicians and the music and dance steps they produced is more complex. They played and taught at the most recent Known World Music and Dance Symposium in Germany last April that Judith autocrated. I took the classes and enjoyed them immensely. They are delightful folks and truly fine musicians. Judith likes the complexity they bring to the Gresley. I, on the other hand, am in it for the joy of the dance, and the pleasure it give me to promote dance to the populace at large, and newbies in particular. That will be easier with Emma and Martin’s work so that is what I will be teaching. One of my students, Wenllyan Goch, has found a CD with all 26 dances on it. The group is The York Waits. The CD is called Cherwell Thy Wyne, Dances of Fifteenth­century England from the Gresley manuscript. Wenllyan is trying to get a bulk rate to get more than the one copy of the CD. I will use it until I get an updated and more complete version of the Martin’s music. I have one other lead. I was told at the last University that a group of Morris dancers under one Rose Moresk (if I have the spelling right) are working up the Gresley dances in somewhat different reconstruction. When you search for Gresley Dance Manuscript you get 1,640,000 hits. I could spend weeks full time weeding those out for you and make this a better document. I would never catch up since new ones are added all the time. I want to teach dance and do my part of the proofreading. As always, the historical dances we do are subject to interpretation. Different reconstructors, different teachers, different regions are bound to do them differently, as I am sure was true in period. That adds to the richness of the dance heritage and while it may put you off balance on the dance floor on occasion, we have all been there and no one will mind. Just listen to what the teacher is saying and try to do it their way so we don’t run into each other in the line and all will be well. By the way, it is a good idea to be sure you are all dancing the same version in a set, especially if you go out of your Kingdom. The dances include 8 easy or very easy dances, 11 moderate, and 7 difficult dances. All of the dances are for 2 or 3 people. This will be very welcome to those of us teaching dance, since very often we find we do not have critical mass for our four couple dances. This will also make for many more dances we can teach at demos to random people from the crowd. The easy ones are really easy. Among the easy dances is New Year which would be boring unless you take it as a danced for drunkards and everybody pretends to be very drunk while they do it. Many of these dances have interesting little quirks, once you get into the moderate and difficult dances. I like the funky hey in Armynn very much. Those moves may take a few tries to get, but they are fun and very worth the effort. I have taken to using some of the 1500 language for calling the dances. For example trett is enterpreted as a single. So trett, retrett, is a single forward and back. Trett, retrett is easier to call than single forward, single back and it feels good to use the original language. I am delighted to be working with Emma and Martin’s book for many reasons but let me give you a few. They have included three tables of dances at the beginning of the book. One with the dances in the order they appeared in the manuscript. One that gives the dances in alphabetical order, and one for the musicians, giving the source of the music they are using either original from the manuscript or from other sources. They have given an introduction to the book and to each dance describing their process in reconstruction. Best of all is the instruction for each dance. These include, the original text, the musical section for each part of the dance, modern language for their reconstruction and diagrams with little people and arrows to show you what is going on at each step. I love the handouts this produces for teaching. So, in conclusion. This is really fun to be working on totally new stuff in the dance community. I am having a good time learning and teaching it. I hope to get through my part of the proofreading this winter or at least make a grand attempt. Wish me luck. Here are all the Performing Arts activities in chronological order. Some locations DID change since we lost use of Vingulf Hall, so please watch for announcements, signs, and disturbances in the force to inform you of location changes once you get to site! Friday night Vingulf Hall activities moved to the Picnic Shelter “Madrassa” and Saturday night Vingulf Hall activities moved to the Bardic Center tent. See notes in red below. FOR ALL PERFORMANCES AND CLASSES – BRING YOUR OWN CHAIR!!! All those who wish to participate get up together and tell a tale from beginning to end. The challenge’s patron will ‘conduct’ by pointing to the person whose turn it is to continue the tale, and deciding when it is time to end the tale. Sometimes words have hidden meanings and it will be up to our team to define their given word, one word at a time to the audience until the word is completely defined. Aesop a mere slave, is credited for presenting teaching stories with a touch of wisdom so for this challenge you would be wise to come with a prepared Aesop story to tell. Stories should be five minutes or less. No preparation, for you will be handed a piece by Shakespeare and must stand and perform on the fly after 60 seconds. Sing it, dramatize it …own it. This is a challenge and not a competition. If you are playing then you have already won. Challenges are designed to encourage you to try your hand at something new, to stretch yourself, to enjoy, and to celebrate the creative spirit. Follow as closely as you can to the instructions as possible. In order to allow the largest number of people to participate, prepared entries should be limited to five minutes or less (that includes the introduction). If you are a Baronial Champion for your Barony in the Performing Arts, and if you wish to compete in Saturday night’s Inter-baronial Bardic Champions Competition, please be sure to sign up with the MC, Lady Sophia the Orange NO LATER THAN 12:00noon on Saturday! Please send email ahead of time to dmoas-performance AT atlantia.sca.org OR leave an UNMISTAKABLE message at Windmasters Hill Camp. DO NOT HESITATE TO ASK QUESTIONS! Numerous folks are well versed in this whole program and ready to answer your questions! Please contact any or all of the following people to ask questions or advice on the best way to get the best bang for your buck per minute of fun at War of the Wings! The rule of the day at this event is to be as flexible, forgiving, and polite as possible to your fellow SCA volunteers. This event has had some rocky changes to juggle at the last minute, so please keep lines of communication open as we juggle and squeeze as much fun into these few days as possible! Fan of Anything That Comes To Life On Stage! Welcome to the Performing Arts Blog for the Kingdom of Atlantia! It’s finally ready! Here it is! The Kingdom of Atlantia finally has a blog for helping those of the populace who are interested in performing arts to keep up to date and collaborate! Atlantians can subscribe to this blog via email or RSS to get announcements about performing arts happening in our fair kingdom. 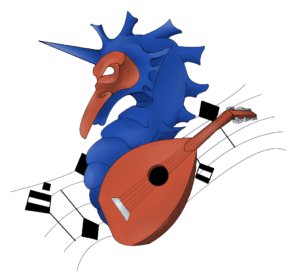 If you are interested in being a Guest Blogger, please do send what you want to post to the administrator, Sophia the Orange, at dmoas-performance AT atlantia.sca.org and include any deadlines or events associated with the content. Please be sure to see the Social Media Communities tab for the other many ways you can stay in touch online! Do not hesitate to make a suggestion or ask for information by emailing Sophia at dmoas-performance AT atlantia.sca.org or leaving a comment on a blog post. This blog will continually change and adjust to the needs of the ever changing performing community of Atlantia. Let me know what you want to see here, and I’ll do my best to get it up here. Thank you for your continued attention, and keep watching!